I have been keeping my corn snake, Julius, for about 11 years now and have had some ups and downs. 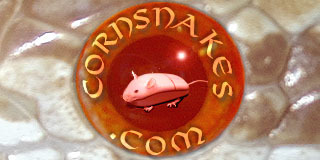 I am hear to read and learn about corn snakes from people who are also passionate about animals and corns. Welcome to the forum. Does Julius have ups and downs? He appears to be a bit thin in the photo, to me anyway. I did A thread in the health problems section about this and a few other concerns. Yes, I believe he is underweight. You can check out what happened and why he might be thin. It was partly due to my lack of care, which I greatly am ashamed of, and am trying to rectify and I am becoming a better owner, because I love animals and the snake. Anyway, feel free to check the other thread and let me know your opinion. Ultimately, I will probable bring him to the vet someday soon, to see what they say. Don't be too hard on yourself. If the problem is just internal parasites, it is a common condition. Most snake keepers/breeders don't even treat their snakes for worms until it becomes a problem.